One of the nation's leading Islamist political organizations hosts its annual convention this weekend, opting to showcase a slew of radicals and terror apologists on its program. The Muslim Public Affairs Council (MPAC) is calling this Saturday's conference at the Westin Bonaventure in Los Angeles, "The Struggle for America's Conscience." Among the invited speakers is a leader of a Virginia mosque whom law enforcement officials consider to be "associated with Islamic extremists," a director of a group founded by the Muslim Brotherhood with a history of radical statements, and MPAC officials with their own record of undermining law enforcement counter-terror efforts. In addition, a White House aide responsible for outreach to the Muslim world is scheduled to appear. But even he has a record of criticizing American terrorism prosecutions and policies. That's on top of the rhetoric put forth by the host group MPAC, which rails against law enforcement terrorism investigations and has argued that the U.S. is wrong to designate Hamas and Hizballah as terrorist groups. Convention topics include "Islamophobia, U.S.-Muslim world relations, terrorism, violent extremism, civil rights, homeland security, bigotry, civic engagement, war, reform." It would be refreshing if that leads to a frank assessment of what is driving a spike in homegrown terrorist plots during the past two years, including recent arrests in Portland, Baltimore and Virginia. 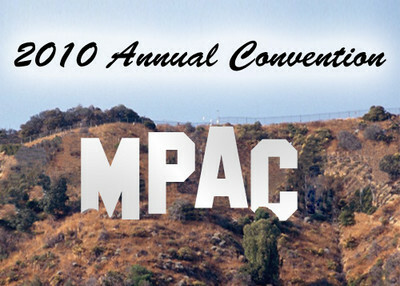 But the titles of the MPAC convention panels, and the people chosen to speak on them, suggest that developing strategies to combat terrorism will take a back seat to yet another pity party in which the problems of rising jihadist thought are blamed on American law enforcement or "Islamophobes." The first panel, dedicated to the "State of our Union," draws primarily on MPAC-friendly policymakers, including Executive Director Salam al-Marayati; Rashad Hussain, President Obama's Special Envoy to the Organization of the Islamic Conference; and Reem Salahi, a self-styled civil rights attorney. While claiming publicly to be working towards greater integration into the United States, each of these three have a history of radicalism. Al-Marayati has a substantial record of defending terrorist groups and extremist organizations. Under his leadership, MPAC has defended terrorist organizations and criticized U.S. counterterrorism efforts. For example, MPAC's 2003 counterterrorism paper advocated the removal of Hamas, Hizballah, and the Palestinian Islamic Jihad from the government's list of terrorist groups. The organization argued that Washington's "preoccupation" with these groups "raises the question as to whether targeting Palestinian groups serves true national security interests or is based on political considerations." "Free free Palestine. This is not loud enough. We have a lot of people. Free free Palestine. Long live Palestine. Free free Palestine. Long Live Palestine. Long live Palestine. From the river to the sea, Palestine will be free. From the river to the sea, Palestine will be free." That chant, from the river to the sea, is subtle. But the message is clear – a Palestine extending from the Jordan River to the Mediterranean Sea erases the state of Israel. "[O]ne has to ask the question as to how and why the World can stand by while the State of Israel is subjecting Palestinians to a Holocaust in their own home land." At the organization's 9th Annual Convention on December 5, 2009, Laila al-Marayati tried to minimize Hamas violence. "[W]e need to stop talking about Israelis and Palestinians as if they are equals because they are not," she said. "We know that. And that rings hollow every time when you talk about they're partners and bringing people, because the Palestinians still are under occupation." Throughout Salam al-Marayati's tenure with MPAC, the organization has broadly condemned a wide-range of law enforcement tools, arguing in May 2001 that "domestic counterterrorism efforts, such as unconstitutional use of secret evidence, also disproportionately target Muslims." The organization has also criticized the use of profiling, fusion centers, and informants, amongst other tools. In an April 2009 interview with al Watan al Arabi, al-Marayati claimed that U.S. counterterrorism policies were representative of a broader "war on Islam." In an interview in Arabic that was translated into English, al-Marayati argued "there is Islamophobia in the American government too, and this is a problem, since there are people in it spreading fear of Islam and distributing misleading generalizations against American Islamic organizations"
"double standards in opinion—and policymaking vis-à-vis counterterrorism; it also exacerbates tensions in interfaith relations…biases the Middle East peace process, and intensifies the clash of civilizations between Islam and the West." Joining al-Marayati will be Rashad Hussain and Reem Salahi, who each have their own records of demonizing U.S. counterterrorism efforts. Prior to becoming President Obama's Special Envoy to the Organization of the Islamic Conference, Hussain frequently criticized law enforcement efforts to combat radical Islam. During a 2004 talk before the Muslim Students Association (MSA), Hussain cast the terror-support indictment of Palestinian Islamic Jihad operative Sami Al-Arian as an example of politically-motivated cases. At the time, Al-Arian was a year away from trial for providing material support to a terrorist organization. After initially denying that he made the comments, Hussain had to backtrack after a tape of the event surfaced. "The judicial process has now concluded, and I have full faith in its outcome," he said in a subsequent statement. Al-Arian pled guilty to "conspiracy to make or receive contributions of funds, goods or services to or for the benefit of the Palestinian Islamic Jihad, a Specially Designated Terrorist." Hussain's comments before the MSA may have been his first public criticism of U.S. law enforcement, but they weren't his last. As a Yale law student in 2007, he published a paper in the Texas Journal on Civil Liberties & Civil Rights called, "Preventing the New Internment: A Security Sensitive Standard for Equal Protection Claims in the Post 9/11 Era." In it, he raised the specter of internment camps to argue that the U.S. used the September 11 attacks to justify sweeping enforcement action against Muslim immigrants. In a 2008 policy paper for the Brookings Institute, Hussain advocated a politically correct use of language, eschewing references to "Islamic terrorism" and "Islamic extremist" and recommending they be replaced with references to "Al-Qaeda terrorism." Panelist and attorney Reem Salahi, meanwhile, has attacked the government's no-fly list, participated in convoys to funnel logistical and financial support to Hamas, and lashed out at the administration of UC-Irvine for suspending the Muslim Student Union (MSU) after it orchestrated repeated disruptions of a speech given on campus by Israeli ambassador Michael Oren in February. Internal communications show that MSU leaders orchestrated a plan to interrupt Oren more than a dozen times by students who stood up and shouted that he was a murderer and a war criminal. That included a detailed "game plan" on where people would sit and how they would disrupt the speech. Salahi, a former assistant director of the MSA at UCLA, immediately condemned the arrests of 11 students, saying that while some members had participated in the protest, the organization was deemed "guilty by association." She also accused Oren of being "both racist and Islamophobic" after he issued an open letter to the UC Irvine student body in which he said his speech was "hijacked by a minority of students" and that he was willing to return and meet with students who disagree with him. After assessing the "State of our Union," the afternoon session at the MPAC convention looks at the "State of the Ummah (Muslim people)." The panel includes religious leaders who have defended terrorist organizations and leaders. Among them is Johari Abdul Malik, the current Director of Outreach at Dar al-Hijrah Islamic Center in Virginia. Both Abdul Malik and his mosque have been associated with terrorists. Dar al-Hijrah has been a place of worship for notable terrorists and extremists including Abdurahman Alamoudi, who attended the mosque before his September 2003 indictment for illegal financial dealings with Libya and participating in a plot to kill then-Saudi Crown Prince Abdullah., and Hamas political leader Mousa Abu Marzook, who attended the mosque while living in the United States. As the Investigative Project on Terrorism recently reported, government documents written in 2002 stated that the mosque was "associated with Islamic extremists" and "operating as a front for Hamas operatives in U.S." The mosque "has been linked to numerous individuals linked to terrorism financing" and "has also been associated with encouraging fraudulent marriages," a December 2007 report said. Another December 2007 report advised that Dar Al-Hijrah "has been under numerous investigations for financing and proving (sic) aid and comfort to bad orgs and members." Abdul-Malik also is on record about the past moderation of Anwar al-Awlaki, a previous spiritual leader at Dar al-Hijrah who went on to become an al-Qaida affiliated radical fighting America from Yemen. "Let's be clear," Abdul-Malik told National Public Radio, "when Anwar Al Awlaki was at Dar Al-Hijrah, he was articulating the same message that I articulate today in Dar Al-Hijrah, a very open, a very engaging, a very community wise and contemporary understanding of the faith within the framework of its traditionalism." Abdul Malik's claims aside, the IPT has demonstrated that Awlaki first demonstrated a tendency toward radicalism over a decade ago while he still was preaching in America. Joining Abdul-Malik on the Ummah panel is Suhaib Webb, educational director for the Muslim American Society, a front for the Muslim Brotherhood in the United States. In addition to the organization's ties to the Brotherhood, MAS leaders have praised Palestinians for choosing "the jihad way" to liberate their land and enthusiastically responded to calls for Hamas and Hizballah supporters to show themselves. Finally, rounding out the afternoon panel is MPAC co-founder Maher Hathout, who has previously acted as an apologist for extremism and terrorism. In a January 2009 speech at the Islamic Center of Southern California, Hathout argued that responsibility for Islamophobia lies with those groups which are "exploiting the fear of the country after 9/11, and the agitation of the previous administration to spread lies about Islam and about Muslims to intimidate, marginalize them to prevent Muslims from being part of the American discourse." We have previously detailed how MPAC's veneer of moderation is undermined by its routine defense of designated terrorist organizations and its opposition to U.S. counterterrorism measures. The 2010 convention program offers little indication anything has changed. "a White House aide responsible for outreach to the Muslim world is scheduled to appear... even he has a record of criticizing American terrorism prosecutions and policies." That the White Mosque (White House) has an aide take part in the MPAC Conference, makes a very alarming statement that the White Mosque is in agreement with, and fully approves of MPAC's statement that the U.S. is wrong to designate Hamas and Hizballah as terrorist groups. As the stated goal of both Hamas and Hizballah is the annihilation of all Jews, this puts the White Mosque in agreement with this sick and evil goal. A Second Jewish Holocaust. And as this White House (White Mosque) aide has a record of criticizing American terrorism prosecutions and policies, it also shows, that this is ALSO the belief of the White Mosque. How easily this great nation is being conquered for Islam. "MPAC has argued that the U.S. is wrong to designate Hamas and Hizballah as terrorist groups." MPAC reveal they believe the cruel murder of innocents - annihilation of the Jewish people for the sole reason they are Jews and not Muslim, is their religious/political belief system. 'Israel, by virtue of its being Jewish and of having a Jewish population, defies Islam and the Muslims. Israel will exist and will continue to exist until Islam will obliterate it, just as it obliterated others before it.' "There is no solution to the Palestinian problem except by Jihad."